Combine culinary discovery and spiritual practice during this unique cooking workshop in Hanoi. 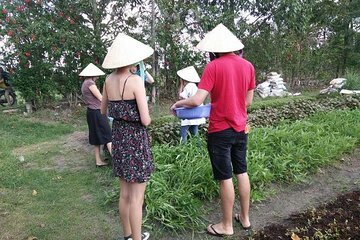 Learn about Vietnamese cuisine as you shop for ingredients at the local market, pick fresh produce from an organic garden, and create an array of seasonal dishes. Before cooking, take part in a traditional zen meditation session and discover how the practice of mindfulness is important to a natural lifestyle and healthy eating.